According to NAFSA (Association of International Educators), the number of American students who studied abroad for post-secondary school credit grew to 313,415 students in 2015. While the chance to study overseas is exciting, it also presents some financial hurdles and challenges. We share eight practical tips to help students save money, when studying abroad. When studying in Europe or another foreign country, governments and local municipalities understand that students are there to learn and experience the culture, but on a limited budget. Your international student card can get you discounts on everything from restaurants to entertainment and social events. Consult with your University regarding available discount programs; student assistance offices will have resources to point you in the right direction. Explore the benefits of getting an International Student Identity Card (ISIC) for more discount opportunities. Part of the excitement and experience of studying abroad in Europe, is the proximity to other countries, and unique historical and cultural experiences. Whether you are a resident or a visiting student, travel costs are disproportionately expensive, which is why the Eurail pass makes sense, if you plan to use off-time for exploration. Many countries limit the number of seats available on Eurail trains for pass holders, to remember to book in advance to ensure a reservation for planned travel. Trains to France, Italy and Spain have limited seats for pass holders and almost always require a reservation. The Eurail app for iPhone allows tourists to filter train schedules for trains that do not require a reservation. Book travel at the train station instead of on the Eurail website however, to save on added service fees. Transaction fees add up, and can quickly bite into a foreign student’s budget, when traveling overseas. Before departure, do some investigative work and find a bank that has a branch near where you plan to study and live. Everything from deposits to withdrawals and bill payments have an additional fee, and delay when transferring money from a North American bank account. As soon as you arrive in your host country, replace your domestic SIM card in your mobile phone. With exorbitant cost of international roaming charges, it’s essential to do this immediately after arrival, to avoid hundreds of dollars in charges (or more) from your domestic cellular network provider. The average roaming fee costs $1.50 per minute or more. All European countries offer local SIM cards, which can be purchased at convenience and retail stores. Since staying in touch with family and friends back home is a priority, don’t use your smartphone to make long-distance international calls. Before you leave, set up Skype on your parent’s home computer and/or smartphones, and enjoy unlimited video and voice calling for free. Remember that your mobile phone must be unlocked, to swap out the SIM cards, and prevent international roaming fees. Consult with your domestic cell phone service provider before you leave. 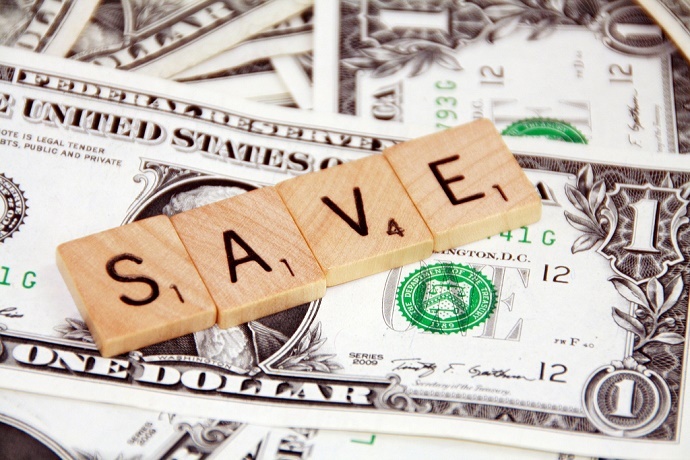 One of the best ways to save money and monitor spending, is to create and maintain a monthly budget. Not only a budget ensure that you don’t run out of money while living abroad, it can also help you track receipts for income tax purposes. There are many apps that can be installed on your smartphone to help you manage your money. One of the most highly rated apps is LearnVest, which allows you to create categories such as entertainment, housing, food and travel, to help itemize and review your expenses. In North America, farmers markets are a novelty, and while local produce is fresh it is often more expensive than buying at a grocery store. In European and Asian countries however, the local community markets offer the best deals on foodstuffs, and it is a culturally rich experience to experiment with new recipes inspired by your host country. When in Rome, try making your own pasta. Ask local students for advice on the times and days to shop for groceries. They can provide suggestions that can save you a lot of money, and tips for getting a deal. Many markets are open to negotiable prices, so follow the cue of local resident’s, and price negotiate for fresh food. If you are missing some of your favorite food items, Amazon has resellers for expat’s who will ship your favorite cereal straight to your door. The Facebook marketplace is an international phenomenon; you can find virtually anything you need from utensils to second hand furnishings with a quick local search, and save hundreds on essentials you need for your living space. Thrift stores are a great place to find gently used fashions, and travelers can enjoy picking up local brands to augment their wardrobe, at a fraction of the cost of buying new clothing. If you ‘can’t take it with you’ reconsider buying new items, at high retail prices, or shop online for competitive alternatives. The chance to study abroad and immerse as a student among so many European cultures, is truly a once-in-a-lifetime experience. It is tempting when visiting historical landmarks, to buy souvenirs to help you remember the trip, but not only are trinkets manufactured for tourists pricey, they can also quickly add up to a lot more luggage you’ll need to pack and bring home with you. Consider blogging your experience. You can set up a free blog through one of many website services, including WordPress and Blogger. It is an innovative way to journal through your student travels, and share pictures and insights with friends and family back home (share your posts on social, and allow readers to comment). Free blogs cost nothing annually, and can remain a permanent archive of your adventure (and a portfolio that you can also use for professional purposes), and it is a souvenir you will never have to pack-up or dust. Students should embrace their host and surround countries, to make the most of a foreign study opportunity. With some planning and intentions to economize, the experience can be a positive personal and professionally journey without financial mishaps.